The completely re-engineered shape and ergonomics of the SCUF IMPACT are molded to fit your hands perfectly for paddle play. Prepare for more flexing and less reaching with 4 paddles, interchangeable thumbsticks, adjustable triggers and much more! Play wired through USB connectivity or wireless via bluetooth. Choose from 5 color options (black, white, red, blue & green). Select from 5 thumbstick options; short domed, short concave, long domed, long concave or standard PS4 thumbsticks. 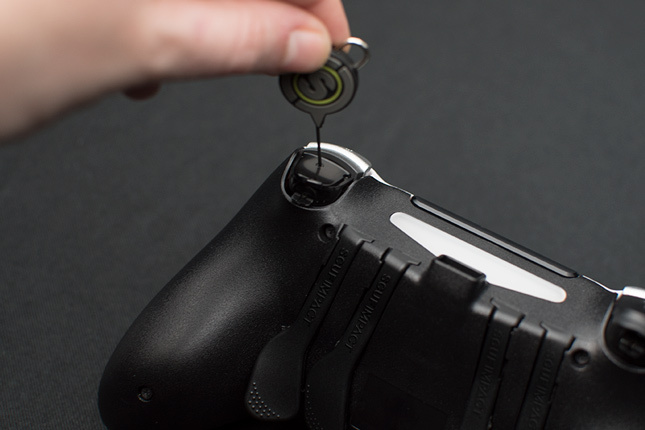 IMPACT rings securely lock the thumbsticks in place, so they won’t fall off or be misplaced. 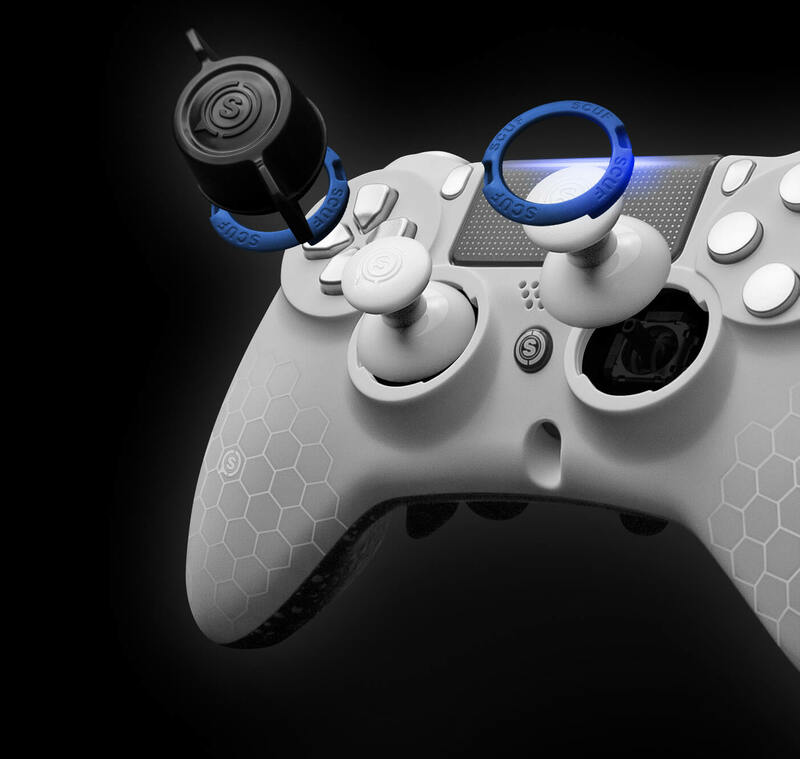 Made from a self-lubricating material, the rings ensure the thumbsticks glide seamlessly for intense gameplay. Fully removable and customizable; rings are available in 11 color options (black, grey, white, green, light blue, dark blue, yellow, red, orange, pink and purple). 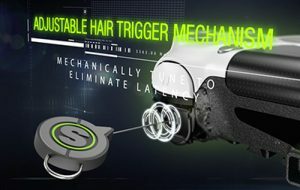 These are fully removable and easily clip onto triggers. 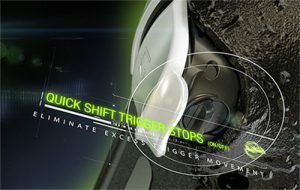 Improve your trigger accuracy and hand comfort. 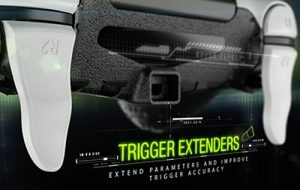 Trigger extenders extend the natural parameters of the controller to suit larger hand sizes. Choose from six color options (black, white, red, blue, green and yellow). Textured, non-slip surface is ideal for extended hours of gameplay. Choose from 5 color options (black, red, blue, green and white). With its innovative technology and wide range of customization options, the SCUF IMPACT controller can be used effectively for a wide range of games for PlayStation 4 or PC. "This is our best SCUF yet!" Every SCUF controller is built to specification at the SCUF workshops based in UK and USA. To provide the high-quality that every gamer deserves, each controller is handcrafted following a strict process, making it a unique piece of hardware. Finally, to ensure optimal performance, a complete quality check and in-game hand test is performed on every SCUF before it is shipped to you! Each SCUF controller is fitted with a unique, tamperproof SCUF seal of approval. This guarantees the controller was built by a certified SCUF technician; ensuring the controller is legal to use at major tournaments including Call of Duty World League, MLG, Gfinity, ESL, SFCO, EGL and more.